ROCHESTER, NY — Special Olympics New York President & CEO Stacey Hengsterman today announced that Rochester will host the New York State Winter Games Feb. 22 and 23. The Games will bring approximately 1,000 athletes and coaches to the area to compete in six winter sports: Alpine & Cross Country Skiing, Figure Skating, Floor Hockey, Snowboarding, and Snowshoeing. 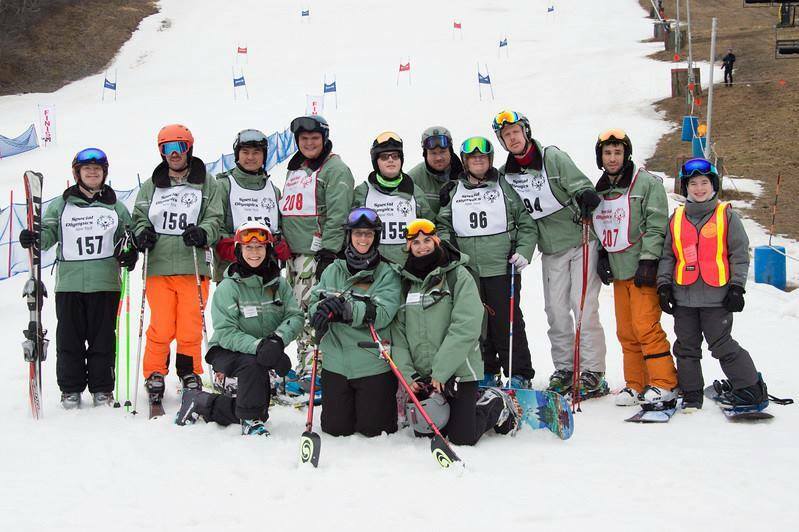 Special Olympics New York athletes train year-round and compete in a series of local events in order to qualify for State Games. It is highly competitive – athletes attending from throughout New York state next month have outplayed more than 30,000 of their peers in floor hockey and more than 2,000 of their peers in the five remaining sports. Honorary Chair of the 2019 Winter Games is Monroe County Executive Cheryl Dinolfo. The Games Organizing Committee is led by Co-chairs Dennis Mullen, president and founder of The Mullen Group, and Maggie Brooks, vice president of strategic initiatives for the Regional Transit Service. Volunteers are still needed during competitions Saturday, Feb. 23, between 8 a.m. and 5 p.m. Opportunities include set-up, food service, starters, timers, social media ambassadors and fans. Volunteers are asked to register online or send an email to volunteer@nyso.org. Riverside Convention Center will serve as the central location for the Winter Games and host the Floor Hockey competitions as well as the opening and closing ceremonies. The Games will also take place at Swain Resort (Alpine Skiing, Snowboarding), Genesee Valley Sports Complex (Figure Skating), Bristol Mountain Ski Resort (Cross Country Skiing), and Cobbs Hill Park (Snowshoe). The Rochester community has a rich history with Special Olympics, dating back to 1979 when the SUNY College at Brockport hosted the International Special Olympics World Summer Games, which featured famous sports figures such as Muhammad Ali, Rafer Johnson, Hank Aaron and Bobby Orr as well as many celebrities including Arnold Schwarzenegger, Christopher Reeve, Phil Donahue, Sally Struthers, and Susan St. James. Special Olympics Founder Eunice Kennedy Shriver, her husband Sargent Shriver and her brother Ted Kennedy spoke during the opening ceremonies.